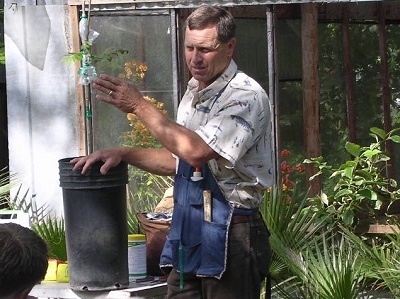 Dr. Larry Stein, Texas A&M AgriLife Extension Service, will demonstrate how to properly prune fruit, nut, citrus, and grapes for maximum production. In this free seminar you will learn about the overall care of your trees before, during, and after harvest. There will be a 20% OFF Everything sale this special Saturday only for extra savings! 3 CEUs. BCMG Code: 001.